Acting president Professor Yemi Osinbajo has redeployed the chairman of Independent Corrupt Practices and other Related Offences Commission, Ekpo Nta, to the National Salaries, Incomes and Wages Commission. Press, Office of the Secretary to the Government of the Federation, Bolaji Adebiyi. 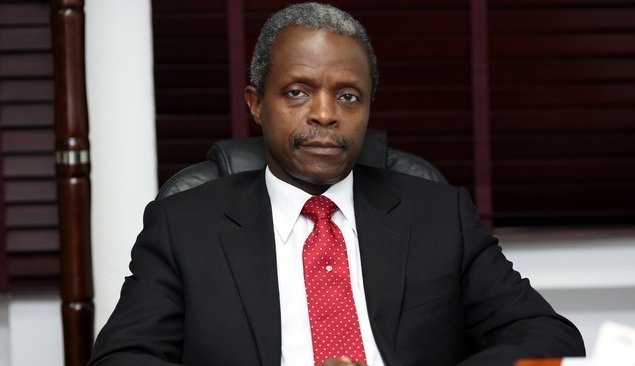 The statement read, “His Excellency, the acting president, Professor Yemi Osinbajo, SAN, has approved the underlisted appointments in federal government agencies. (i)​ Engr. Chidi K. C. Izuwah​-​Director-General This appointment is also subject to Senate confirmation. E.​ Also, the Acting President, with powers conferred on the President by Recovery of Public Property (Special Provisions) Act Cap R4, Laws of the Federation of Nigeria 2004 has approved the setting up of a Special Presidential Investigation Panel for the Recovery of Public Property. The Chairman of the Panel is Chief Okoi Obona-Obla, Special Assistant to the President on Prosecution. Mr. Akingbolahan Adeniran is the Secretary to the Panel.